This Elstead Jannik 1 light LED outdoor wall down light in dark grey finish is rated IP44 and features contemporary style. Rectangular mount, with square section head, lower lens and clear band for ambient light. The integral downward facing LED’s light the wall and ground below. A stylish, compact LED fitting, with clean lines and e­fficient design, suitable many applications. It provides a good amount of ambient light, yet gives a distinct look to any wall it’s mounted to, making an attractive lighting design feature. Dark grey coated cast aluminium and ideal for lighting outside your front door, a pathway or patio area. 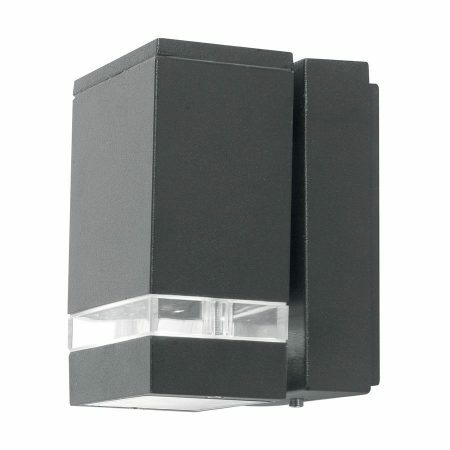 There is a Jannik 2 LED outdoor up and down wall light available, please scroll down this page to view. 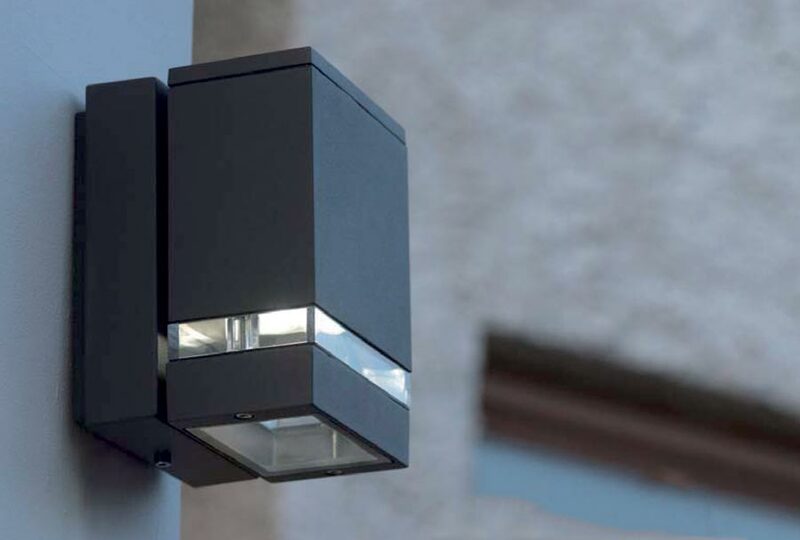 This exterior light is supplied by Elstead Lighting, a British company that specialise in the manufacture and distribution of quality decorative lighting such as the Jannik 1 light LED outdoor wall down light in dark grey finish and rated IP44 you see here.